Create a cozy and versatile living space with this daybed, expertly wrapped in a luxuriously soft fabric. This daybed combines the tufted padded backrest with elegant arch accents and gently sloped arms, creating a timeless style that can elevate the decor of any home. Featuring a hidden trundle design, this daybed creates additional sleeping spots for overnight guests. Bring home this daybed to create a cozy, intimate place to lounge or sleep, making it ideal for any den or guest room. Rustic warmth with a streamlined modern design embodies the Burnside Collection by Home Styles. The remarkable rough hued wire brushed finish exposes the unique grain and accentuates the cozy weathered allure of this charmingly crafted collection. Constructed of mahogany solids and veneers complemented with a weathered aged barn side finish. 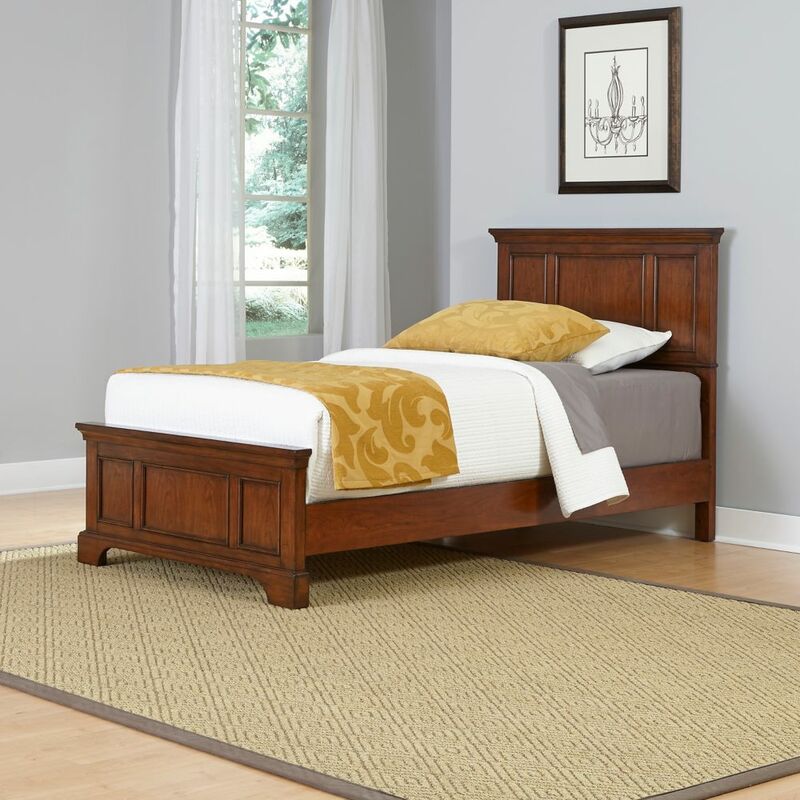 The Queen Bed features detailed panels and a plank slat-style design. Assembly required. Finish and measurements may vary slightly. Size: 62.75w 86.75d 56h. Bring a contemporary yet classic style to your child's bedroom with this chic twin sized upholstered bed frame. The low platform and tufted headboard enveloped in soft and durable grey leather-look material gives it an elegant inviting appeal, while the black solid wood block legs provide sturdy support. This bed frame will be a stand out in any bedroom refresh! A standard twin size box spring is required. Box spring and mattress are not included. All parts and hardware for assembly are conveniently located inside the headboard. Inspired by classic vintage design, this twin sized black metal bed is given a fresh update with a contemporary appeal. Constructed from sturdy metal tube with strong metal slats along the base for firm mattress support, this simply designed elegant bed frame with a rounded headboard and footboard will be a standout in any child's bedroom or guest room in any dicor style. No box spring required and easy to assemble. Mattress is not included.